Proactive is defined as creating or controlling a situation by causing something to happen rather than just responding to something after it’s already happened. It’s often associated with identifying and preventing potential problems. When it comes to IT support, there are two main types, proactive and reactive. Reactive IT support is provided after something has gone wrong and is generally an urgent need. Whereas proactive preventative IT services can often keep things from breaking in the first place. Our Managed IT team offers both proactive and reactive IT support. We help reduce downtime for small businesses and keep their technology running smoothly, proactively. And in the case of any issue or even a technology training question, we’re there to help and react fast to get things resolved quickly. Proactive maintenance for your technology infrastructure, including computers, mobile devices, servers, routers, and peripheral equipment (printers, security cameras, etc…), is just as important as it is for things like manufacturing equipment or HVAC systems. Performing regular, proactive maintenance and monitoring reduces costly breakdowns, downtime, and data breaches that can severely impact your profits. Let’s take a look at what it could be costing you if you’ve been putting off getting a Managed IT Support Plan for your small business. What are the Costs of Not Properly Maintaining Your Technology? While everything may look fine from your keyboard, if you don’t have any IT monitoring or maintenance plan, there could be a vital unapplied security patch leaving an opening for a data breach of your network. Often security breaches can go undetected for months or even years if there’s no mechanism for detecting them proactively. What Does Proper & Proactive IT Maintenance Look Like? Managed IT proactively manages and maintains IT health for businesses in Singapore. We use an award-winning application called SolarWinds MSP to ensure smart, secure, and efficient monitoring. 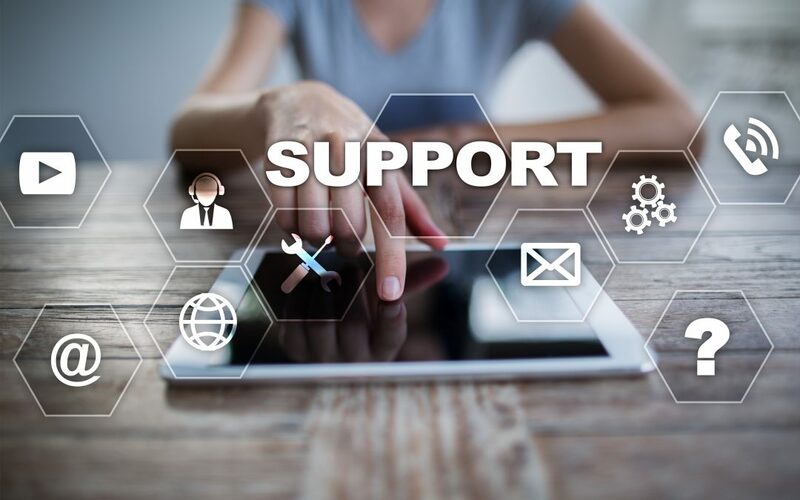 We have over 30 years of technology knowledge and experience, so we know that any good proactive managed IT program will also include reactive support, because there are always things that can come up, such as a dropped laptop needing immediate repair or help desk support for a newly installed software. That’s why our proactive managed services also include unlimited reactive IT assistance, by email, phone, remote or on-site support. Here are some of the benefits you get with a Managed IT Services Plan. If an important security patch comes out in the middle of the night for your operating system, we’ll know about it and get it handled! You get 24/7 remote system monitoring which allows proactive management of security and antivirus patches, hardware health status checks, and more. Some IT providers charge you a monthly maintenance fee, then if you have an emergency and need help, you’re charged even more. That’s not the case with Managed IT. Our plans include unlimited support, so there is no extra cost to have us come out to address an immediate issue or even have staff call us for IT questions to help them save time. No more unknown IT costs hitting your budget. When you sign up for a Managed IT Services Plan you know exactly what your IT costs will be each month and can budget accordingly – all proactive and reactive services are included. From customized router settings to server administration to managed security ensuring your network and endpoint devices aren’t breached, we take a whole system approach. This means support for your entire IT infrastructure no matter the size. We consider ourselves an extension of your business and work with you to keep your business tech running efficiently. Our technicians are as friendly and courteous as they are experienced. They’re incredibly responsive because your IT needs are our highest priority. Interested in Learning More about Our Managed IT Plans? Managed IT plans save companies hundreds of thousands of dollars each year in unnecessary IT costs and downtime. Let us show you how you can benefit with worry-free IT and unlimited support when you need it. Our team is here to answer all your questions and help you sign up today. Contact us via our web form or call anytime at +65 6748 8776.